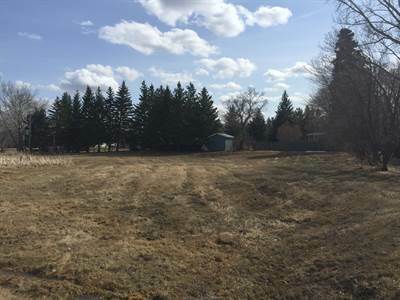 Serviced lot in Rapid City! in Rapid City, Rapid City Announcing a price drop on 3 4th Street, a lot / land. Now FOR SALE CAD20,000 . The perfect place to raise a family or retire! in Oak River, Oak River Announcing a price drop on 2 Hedley Street, a lot / land. Now FOR SALE CAD17,000 . in Oak River, Oak River Announcing a price drop on 5 Hedley Street, a lot / land. Now FOR SALE CAD17,000 . • 1200 sqft , 2 bath , 4 bdrm bungalow – FOR SALE CAD339,900 . 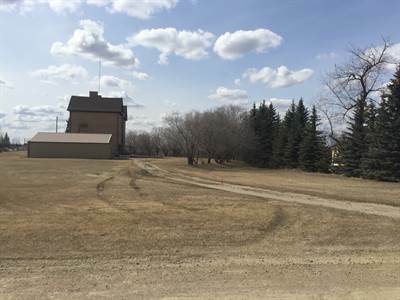 Immaculate acreage just north east of Brandon. The well manicured and landscaped yard welcomes you home to this well kept bungalow. Gleaming hardwood floors from the front door into a spacious living room with south facing picture window. 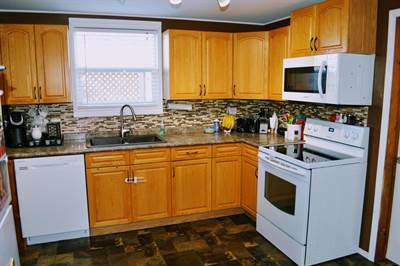 The eat in kitchen has been updated with refreshed kitchen cabinetry, newer countertops and flooring. 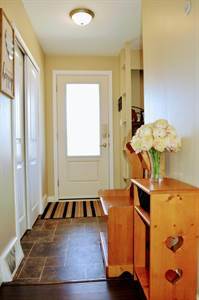 A wide hallway takes you to three roomy main floor bedrooms and an updated four piece bathroom with tiled tub surround. The fully finished basement provides a spacious rec room and fourth bedroom(not egress), large laundry room with 3 pc bathroom and built in cabinetry, and an enormous utility/storage room. Outside you’ll find his and hers garages, one oversized and insulated with a concrete pad in front, storage shed and ample parking for your outdoor toys! Relax in your hot tub on the private back deck! Plenty of shelter from the north and fabulous prairie views to the south. Newer shingles, affordable taxes and municipal water! Call today! • 855 sqft , 1 bath , 2 bdrm 1 3/4 story – FOR SALE CAD149,900 . Hang your hat here! Check out this great starter home in Minnedosa. Updated inside and outside, all you have to do is move in. 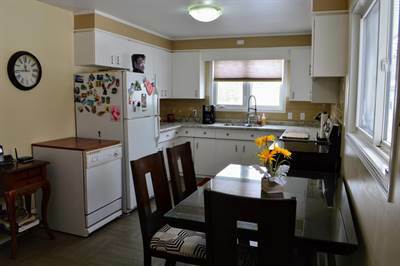 Inside you’ll find a spacious back entryway into an updated eat in kitchen with large pantry. The four piece bathroom has been recently renovated, and the cozy living room has plenty of natural light and a bonus nook for an office. Upstairs are two bedrooms, the large master with walk in closet. Downstairs the basement is open for your imagination. Newer siding, windows, shingles, evestroughs, fascia and soffit. Newer natural gas furnace and hot water tank. 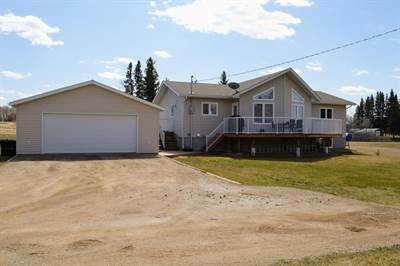 Located on a large fenced lot, with large two tiered deck, firepit area, raised flower bed, and storage shed. Call today for your personal tour! • 1024 sqft , 2 bath , 4 bdrm bungalow – FOR SALE CAD264,900 . What are you waiting for! Step right into this fabulous family home in the southwest neighborhood of Minnedosa. With numerous updates in the recent past, all you need to do is move in and unpack! The open plan main-floor features a large living room, with great big picture window, open to the dining area and, huge beautifully updated kitchen with ample cupboard and counter space. 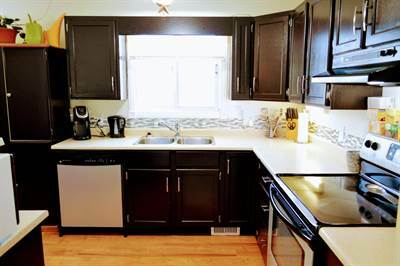 You’ll find 2 bedrooms, and an updated 4 piece bathroom on the main-floor and the fully finished basement features 2 additional bedrooms (windows might not meet current egress standards), a 3 piece bathroom, large recreation room, and laundry/utility room. Outside is a single detached garage, 2-tiered backyard with back alley access, additional parking, and storage shed. Newer shingles (2018), eavestroughs, and all windows. Central air, water softener. 6 appliances included. Just around the corner from the golf course, close to schools and all amenities! Call your favorite Realtor today for your personal tour of this home! • 1030 sqft , 1 bath , 1 half bath , 3 bdrm bungalow – FOR SALE CAD312,000 . 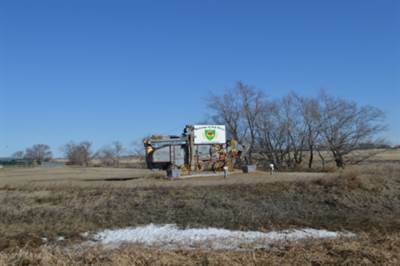 Just a short drive from Brandon, in the desirable Cottonwoods area, you’ll find this small acreage. The pretty yard is treed and features a large vegetable garden, apple trees, saskatoons and cherries, multiple storage sheds and a detached insulated double garage. Inside the bungalow has an open concept style, the kitchen with three appliances and pantry included, open to the dining area and sunny south facing living room. There are two bedrooms on the main floor and a four piece bathroom. The butlers kitchen is a great feature with added storage, sink and main floor laundry area. Downstairs you’ll find a cozy rec room with woodstove, third bedroom (window not egress) as well as recently updated two piece bathroom. Also an office, storage room and utility room. An attached garage currently used a workshop with infloor heat could easily be converted back to a garage. Located on a corner lot, with fewer neighbours, fully fenced and cross fenced for animals, this could be the perfect place for you! Call today for your personal tour! Raised bungalow on a large lot! in Rapid City, Rapid City Announcing a price drop on 305 6th Avenue , a 1358 sqft , 2 bath , 2 bdrm bungalow. Now FOR SALE CAD257,500 . 0 4th Avenue in Rapid City, Rapid City is Sold! 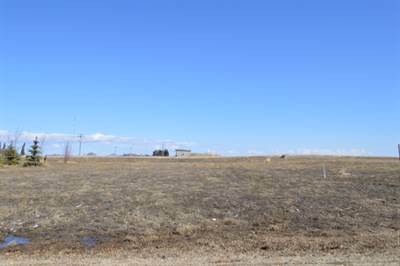 in Rapid City, Rapid City The lot / land at 0 4th Avenue has been sold. Posted on March 20, 2019 Leave a comment on 0 4th Avenue in Rapid City, Rapid City is Sold!